This Fourth of July, we hope you’re inspired to invite some friends over to your apartment for a holiday celebration. It’s a perfect time to try out that new grill or mix up some festive cocktails. From spritzers to shooters to coolers, here are some of our favorite Fourth of July cocktail recipes. Download the printable Cocktail Recipes for an Epic Fourth of July here! Made in a highball glass, the spritzer is cool and refreshing. The lime pairs oh so smoothly with the gin, adding a cooling bite to your cocktail. The fresh raspberries give the drink a sweetness and a vibrant red color that’s perfect for a star-spangled holiday. These tri-colored shooters are perfect for the Fourth of July. Unlike a red, white and blue jello shot, these shooters need no advance preparation. However, the key to getting three distinct color layers is a smooth, steady pour for each ingredient. If you pour too quickly, you’ll unfortunately end up with a purple shooter. If you’re looking for something that will pop like a firecracker, these sizzling margaritas combine jalapeño, lime and honey. The recipe is an adaptation from a blended margarita recipe that was included in our Ultimate Guide to Summertime Drinks. If some of your guests aren’t too keen on a spicy cocktail, just cut back on the jalapeño to make a milder version. If you’re looking for a summer cocktail that’s easy to make and easy to drink, this Blueberry Breeze Cooler is the perfect combination of summertime flavors. Starting with refreshing lemonade, the addition of fresh mint, blueberries and vodka make this cocktail a delicious way to enjoy Independence Day. What better way to celebrate Lady Liberty than with a glass of spiked iced tea. 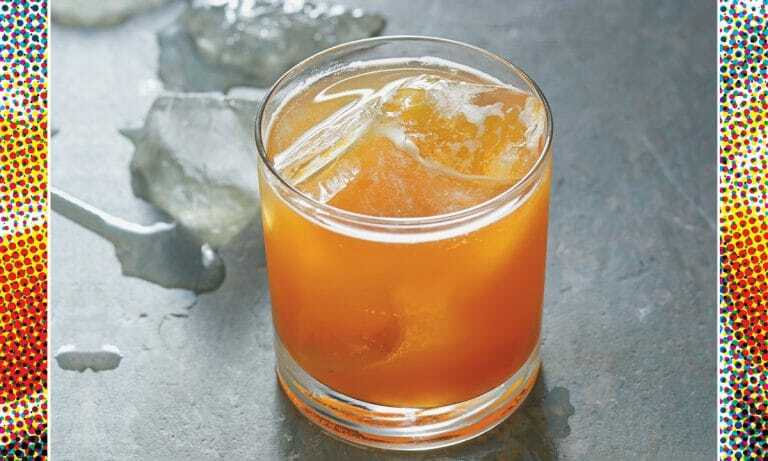 Combining bourbon with peach schnapps, this Southern classic instantly evokes the feeling of old Southern front porches, even if you’re sitting on the balcony of your two-bedroom apartment in the city. It’s an easy cocktail to make, and the recipe can easily be scaled for one glass or an entire pitcher. Watermelon is a classic summertime flavor, and it pairs perfectly with the sharpness of ginger and the buzz of vodka. The key to this drink is picking the best watermelon. When choosing your melon, be sure to tap it and listen for that deep hollow thump so you know it will be ripe and juicy. And for a glimpse into what the insides of your melon might look like, check the store’s pre-cut fruit to make sure the cut watermelon looks red and juicy. It’s likely that chopped melon will be similar to the one you’re about to buy. Now mix up your ingredients and you’re set for a perfect Fourth of July with this tasty summer cocktail. Next PostNext A Little Pot with that Pinot?